Here are the end of January Bestsellers at Mostly Books. FYI: Luis Alberto Urrea, J. A. Jance, Lisa Genova, and Helen Simonson will all be attending the Tucson Festival of Books March 12th and 13th. To find out who will be signing at the Mostly Books tent, go to our website: mostlybooksaz.com. Preparing for the Tucson Festival of Books? Here are few reading suggestions. 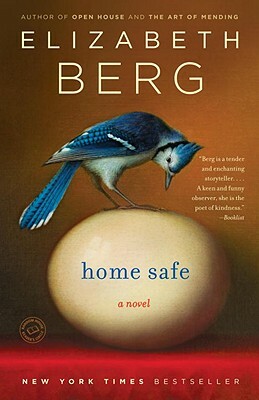 Home Safe by Elizabeth Berg (fiction): This is a story about the ever changing, and sometimes challenging, relationship between a mother and daughter. Helen is recently widowed and finds herself relying more and more on her daughter, causing a rift to grow between the two women. If you are looking for a great character writer, pick-up an Elizabeth Berg novel. Her characters are very well developed and the writing is excellent. 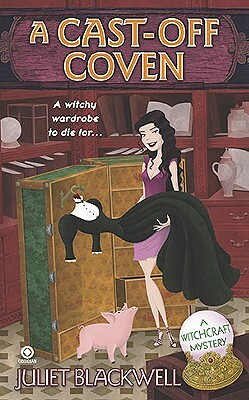 A Cast-Off Coven by Juliet Blackwell (paranormal mystery): This novel is the second book in Blackwell’s Witchcraft series. Lily who is a witch and the owner of a vintage clothing store, Aunt Cora’s Closet, stumbles across the murder of a wealthy benefactor to the local college of fine arts. It doesn’t take long before Lily finds herself once again acting as a part-time sleuth. This a fun cozy mystery to read with the added excitement of ghosts and evil beings, and lets not forget about the clothes. Check out a few of our past reviews for additional TFOB authors. Charles de Lint once again shows us that the world is indeed a magical place in his latest young adult novel, The Painted Boy. 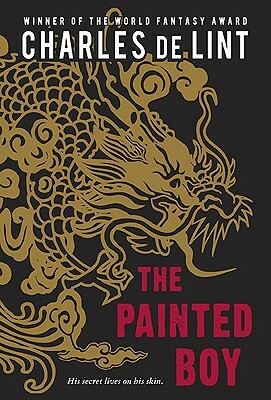 This is a story about a young Chinese boy whose destiny is to become the next dragon in the Yellow Dragon clan. He has been training for several years with his grandmother, but is still confused as to what the dragon is and his purpose. Jay knows that the dragons have protected the Chinese emperors for years, but now they have no one specific to protect and he must find his own cause. Jay’s grandmother decides that Jay must travel and find his way, so she has him randomly point to a location on a map. This act takes him to a small town in southern Arizona that is being over run with gangs and drugs. It doesn’t take long for Jay to realize that this is where his protection as the dragon is most needed. This book was so much fun to read. Jay encounters so many different types of characters, both magical and “normal”, to keep you completely absorbed in the story. His own magical journey from average boy who is worried about girls, to a true yellow dragon with the responsibility to protect an entire town was great. However, I found myself routing for Jay to have some normalcy in his young adult life and not just the magic of the dragon. This internal battle was so well portrayed throughout the novel. De Lint does a fabulous job of showing the wonder and beauty of the desert. I found myself wanting to go out for hike and look at the desert with a new perspective. If you are looking to find magic in your ordinary world, read a De Lint novel. He captures the urban magical world perfectly, just remember to “look sideways”. 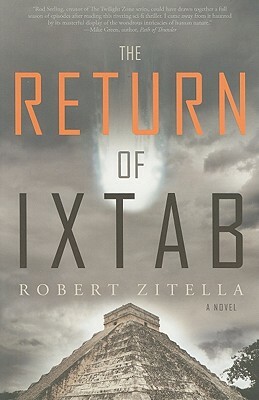 If you are looking for a good mystery with a little science fiction in the background, give The Return of Ixtab by Robert Zitella a try. This book will be out in February (in paperback), but we were lucky enough to get to read it in advance. It is getting close to 2012 and most people seem unconcerned with the Mayan’s prediction of doom. Even Steve seems relaxed with the end of the world rapidly approaching. Well, at least he was feeling fine until his girlfriend becomes a target for an assassination. The more he tries to understand why someone would want to kill his girlfriend, the more he realizes that he is some how linked to an unstable tech billionaire. While all of this is happening, Zitella has added a parallel story line about a warrior-prince trying to uncover the mysteries of the glowing rock and another clan’s magic ability. Both stories are connected to the Mayan prophecy and are headed to an exciting end. What was fun about this story is that you don’t really know much about the warrior-prince’s culture or even which civilization is being portrayed until the end. It is clear that the mystery culture has stories about the end of the world as well as the modern civilization, so you know that the 2012 prophecy plays in some how. This books is incredibly compelling right up to the end since Zitella doesn’t give his readers any dull moments. The two story lines are very well done. As a reader you have no problem switching between times and stories. Overall, Zitella does a fabulous job creating an interesting, well written mystery novel. It is time to start reading up on the authors who will be attending the Tucson Festival of Books. 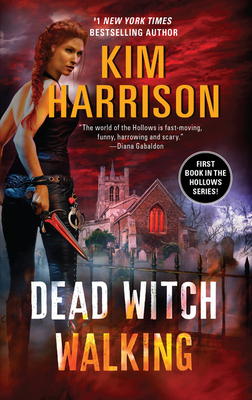 I decided to start off by reading a paranormal/fantasy novel by Kim Harrison and I really loved it. In fact, I am terrible upset that I have to wait for the second book in The Hollows series to arrive. The first book is titled Dead Witch Walking. Rachel Morgan (an earth witch) has been working for the I. S. agency for several years. Her job is to tag, or apprehend, criminal Inderlands and bring them into the agency, but lately she has been feeling under appreciated. She decides it is time to break from her contract and start her own bounty hunter agency. This seems like a perfect plan since her boss would be tickled to see her go, but then things start to go awry when Ivy (a vampire and excellent bounty hunter) and Jenks (a pixie backup agent) decided to join Rachel. Now Rachel has a bounty on her head and the entire I. S. agency after her. The only way to pay off her contract is to bring in the biggest baddest criminal. The story is filled with mishaps and new problems for Rachel to overcome. I loved the relationship between Rachel and her partners, especially between her and Ivy. Harrison did a great job of showing the perils of living with a vampire and how easy it is for mannerisms to be misinterpreted. The book was also filled with action keeping you turning the pages and unable to set it down. This is a great paranormal read and I can’t wait to meet Harrison at the festival. 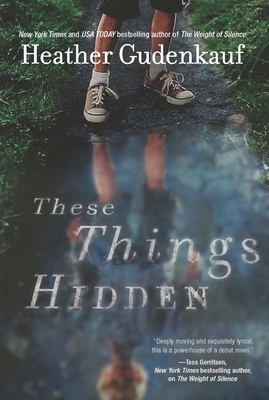 These Things Hidden by Heather Gudenkauf is a compelling and often heartbreaking work of fiction that will be coming out at the end of this month (January 25th in paperback!). I found myself completely sucked into the story and unable to put it down. The novel is written from the perspective of four women who are all connected to one little boy. 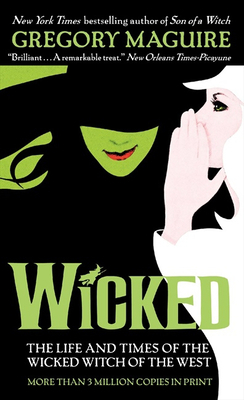 At times I found myself wishing the book was only told from one perspective, but after finishing the story I realize that much of the emotional turmoil would have been lost without the strong involvement of all four. This is a tale of one teenage girl who was sent to prison for a terrible crime and her need to reconnect with her sister. After getting out of prison, Allison starts trying to piece her life back to “normal”. She is able to get a job at a local bookstore and she finds herself hopeful with reconnecting with her sister Brynn. Her life may yet turn around. Then she meets her boss’ son, and Allison realizes her life is once again spinning out of control. She knows that the only person she can talk to is her estranged sister. This is the main storyline in the book, but there are several subplots for each character involved making the overall novel complex and captivating. The ending caught me off guard giving the story yet one more dimension and Gudenkauf did a great job with her characters. I especially like how the reader slowly learns more about the infamous night that sent Allison to prison keeping you engaged to the very end of the book. This is a great book if you are looking for a contemporary fiction novel. The Tucson Festival of Books (or TFOB) is almost here! The festival will be on March 12th and 13th this year. We are very excited for all of the fabulous authors that will be attending this year, such as James Rollins, T. Jefferson Parker, Diana Gabaldon, Jacquelyn Mitchard, Timothy Zahn, Kim Harrison, and countless others. Here is a sneak peak of the authors that will be signing at our booth. Be sure to keep checking our website to stay up-to-date on all of the authors who will be attending our booth.